At 4:15 am on Thursday I was awake and was off dragging Chloe out of bed and trying to keep up with Mike who sprung out of bed at the first blimp of the alarm. Mike and Chloe were headed to the airport, and flying to Missouri for "move in day" at the dorms. Here they are in flight. After dropping them off I made my way out of the airport, and everything went south. I took the wrong elevator bank and wound up on the opposite side of the parking garage that is built to be a duplicate of the other side. I stood in the duplicate spot (where I was sure I'd parked) freaking out! The numbers were even rubbed off and repainted askew the same way as in the other lot in that row (all other rows are fine). I was sure the car was stolen. I called for help and basically this happens all day (and night long). They hire these people to drive lost travelers to their cars on the other side. What's important though, is that they made their flight. Hours later I was on the phone with Mike. They had rented a car with an awful GPS that was sending them 3 hours out of their way through some of the loveliest back roads Missouri had to offer (meanwhile Chloe was missing orientation.) So I sorted it out here on Google maps and navigated them back on track. Chloe has already made a bunch of friends, and started classes today. Here she is with her new roommate. They were both chosen to be part of the fostering program this year. Her campus is pet friendly and they have a program where the students who apply and get in are asked to foster an animal from the local shelter for a significant grant towards tuition/expenses. Mike said there were many beautiful dogs moving in at the dorm. Chloe and her roommate will be getting their cats this week! 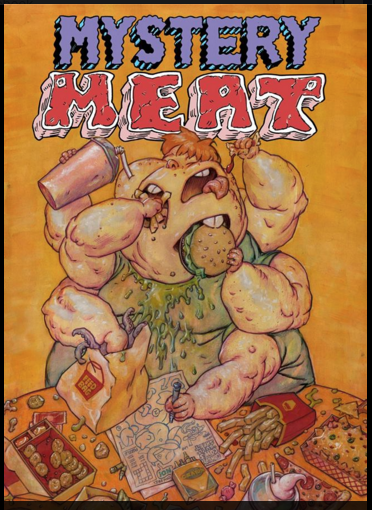 While Mike was traveling he was also promoting the last days of his kickstarter for a slightly disturbing comic about meat written by horror writer Cody Goodfellow. It was a smashing success! 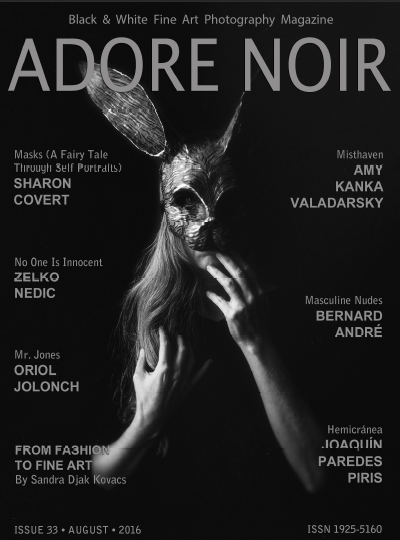 In other news my rabbit mask is on the cover of Adore Noir magazine this month. Photographer Sharon Covert did a whole series using my masks and they are featured inside as well. The photos are to be in another print magazine next month as well as in a gallery exhibit in LA. I'm continuing to promote my fundraiser for my artist residency in Morocco. This is my first residency and I truly hope everything falls into place to make it possible!